As leaders, our success depends on how we are seen by others because moving others to a set of goals is our job. Leadership is not a solo act. Without the support of your team and strategic partners, nothing will happen. If you’re feeling stuck professionally, have you sought feedback about how others see you? 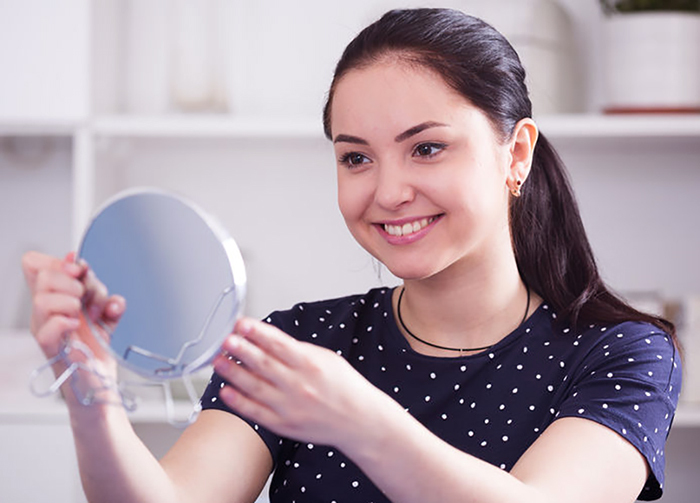 We use mirrors to check and calibrate our physical selves. We have principles we live by that drive our decision making and determine some of our habits (e.g. being responsive to voice mail and email, or meeting deadlines). But there is more to each of us than our physical appearance and our conscious habits, and it takes input from others to see these things. Information that is valuable to us includes: Do we inspire others to follow us? How do we show up when we’re under fire? Do people think that we listen? Do people trust us? Once I was fortunate to have a friend who gave me feedback about how I was coming across in meetings where I was under fire. She told me that I was sinking in my chair. After that, I was much more mindful of my body posture, especially when meetings were not going my way. 1) Find a trusted professional friend or two who will give you that feedback. Of course you won’t have constant coverage like Pinocchio had in Jiminy Cricket, but even intermittent feedback is helpful. 2) Take a personality assessments such as Hogan. When I first took the Hogan, I was put off by the results. Later, I realized that they they tell you things about yourself that everyone else knows about you (but is painful to hear). I look for signs of my dark side popping out just as I monitor my the conscious aspects of my behavior as a coach. 3)There are also 360 reviews, where you get feedback from your boss, subordinates, and peers. These can be helpful, but sometimes the questions are vague. The most helpful part of these surveys are the comments. Having insight into how we come across is critical to leadership success. We cannot rely on ourselves alone for this input. QUESTION: How do you get feedback? Leadership/Career Coach Kris Ishibashi is a certified Hogan provider. She works with leaders to bring together their skills, their authentic selves, and their intentions to inspire their organizations to superior performance. Click here to set up a complimentary consultation.